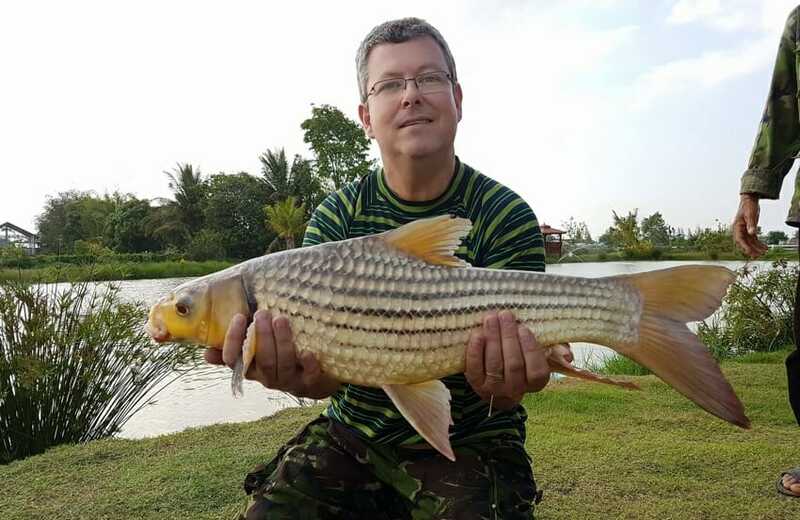 Paul a keen carp and course fisherman from the UK has been following our facebook page for sometime now so it was very nice to meet him in person… it was a bit of a late start but things soon warmed up with some screaming runs from our Amazon Redtails followed by a very nice mixed variety of 8 other fish species. 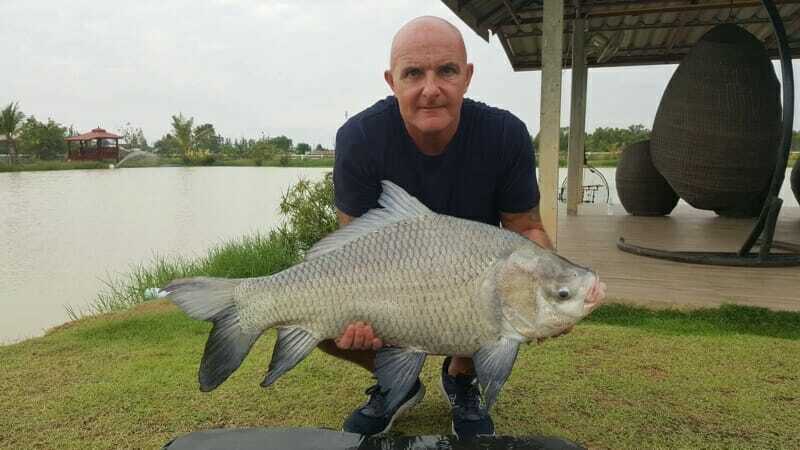 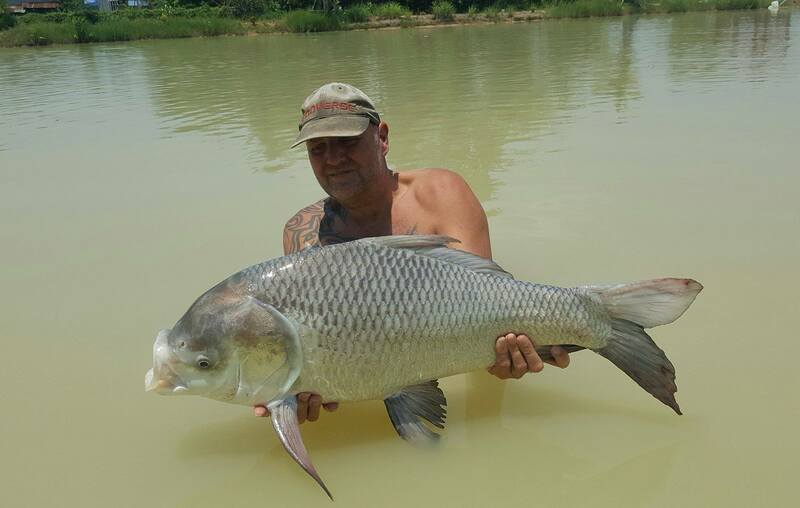 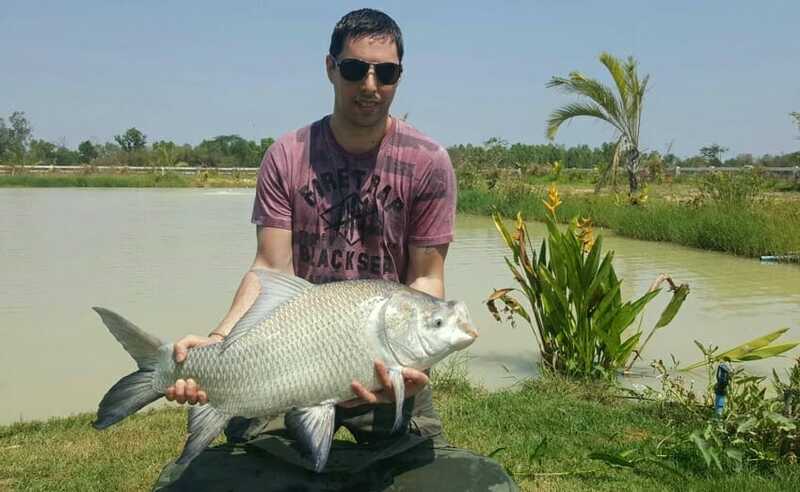 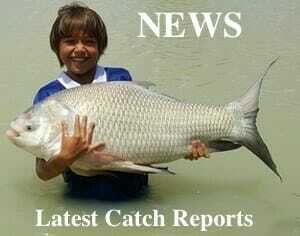 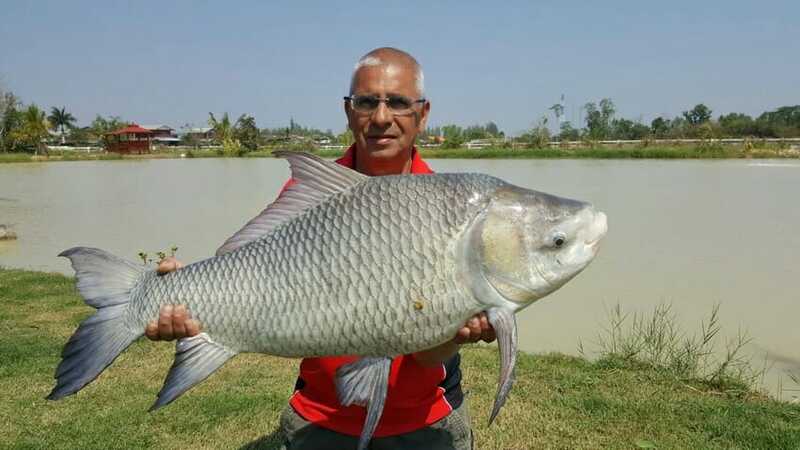 Here are some pictures of just a few of the fish caught today..
Now that the rains have stopped we can now resume development work on our 2nd larger lake expansion and also a new stock pond..a lot of exciting new fish will eventually be introduced..along with luxury fishing lodge and swimming pool for none fishing family members …the venue will still remain uncomercialised & private with limited bookings.. 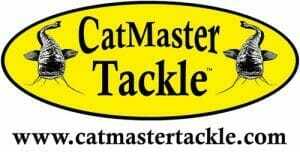 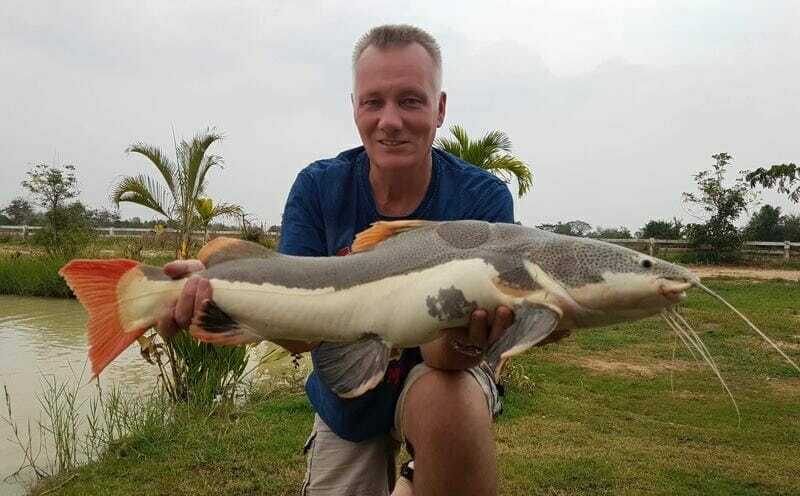 Spent a pleasant afternoon with Brit Colin & Aussie Colin… just a couple of pics of the fish caught today….. 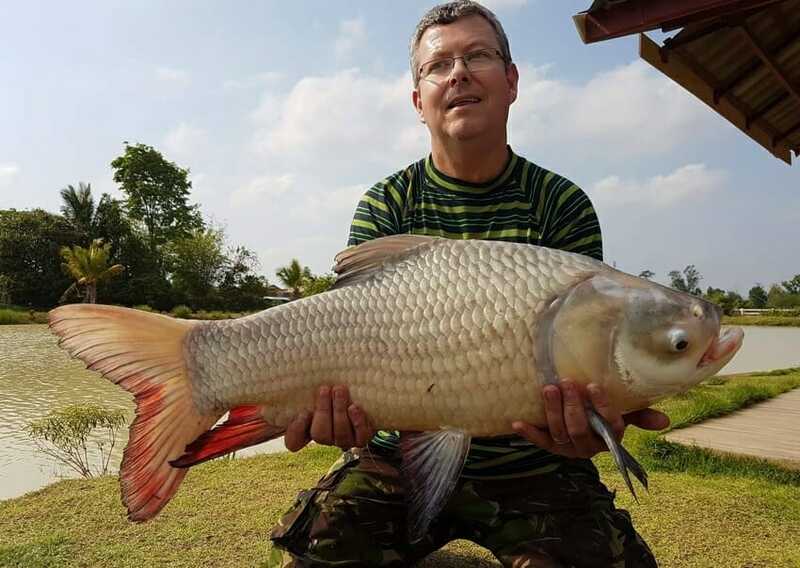 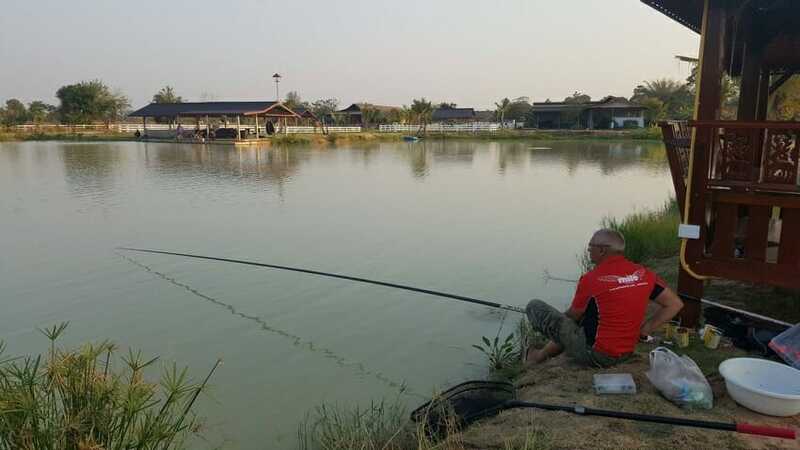 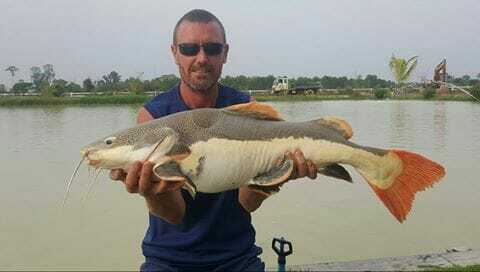 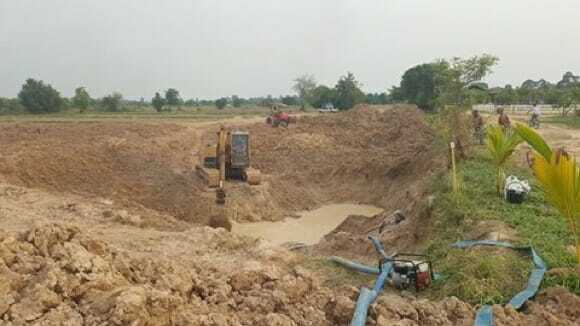 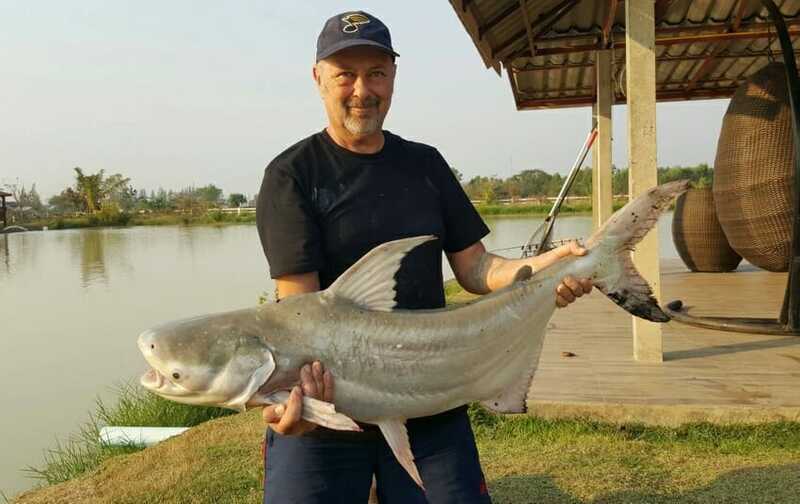 Fishing In Udon Thani – Update..
A slightly slow start turned into an exciting day for keen carp enthusiast Paul from the UK, I was beginning to wonder if the French lads had tired all the fish out until the battle commenced with a lovely ripsaw catfish then followed by a very energetic chao phraya freshwater shark.. as the day warmed up so did the fishing producing a very nice variety of 7 different fish species … with it being Paul’s first experience fishing Thailand I feel sure it will be a day to remember.. 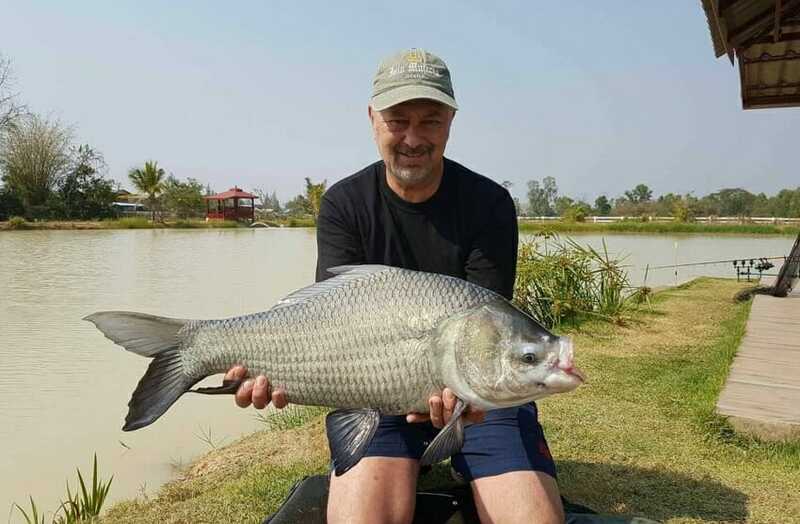 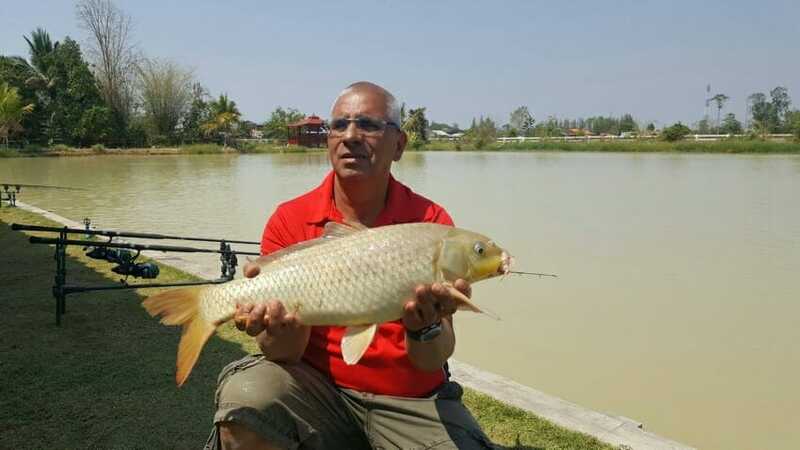 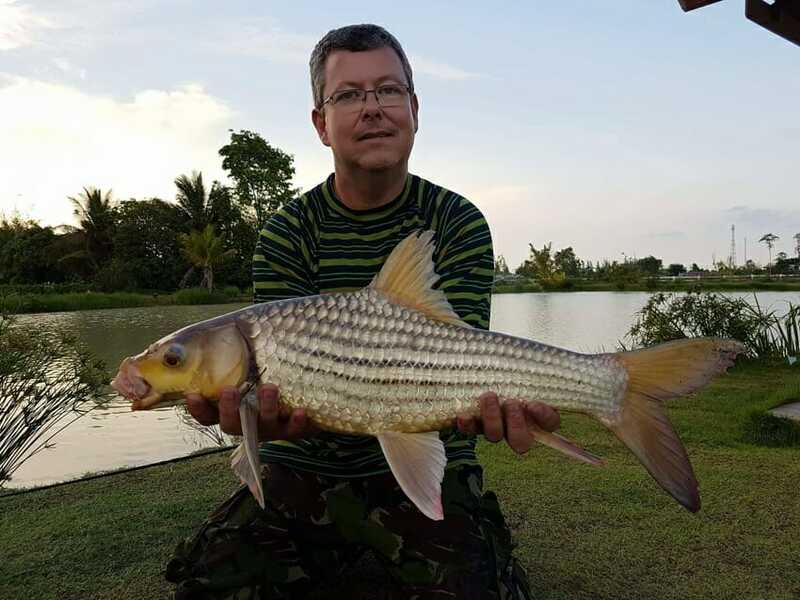 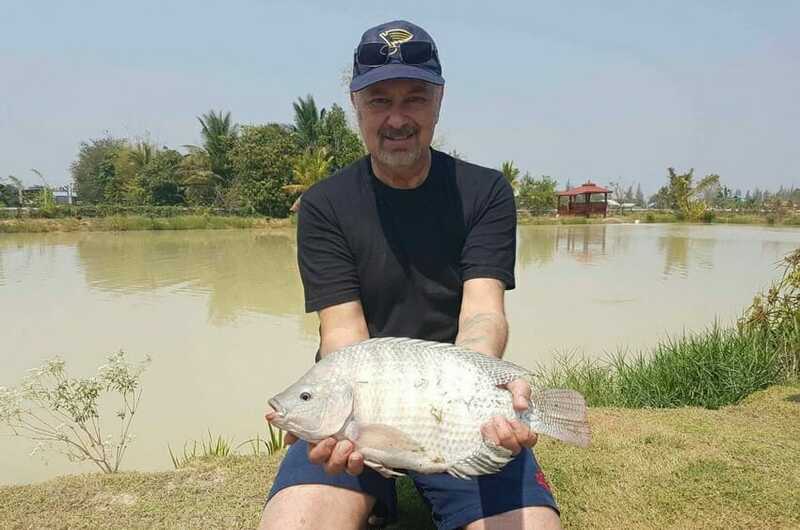 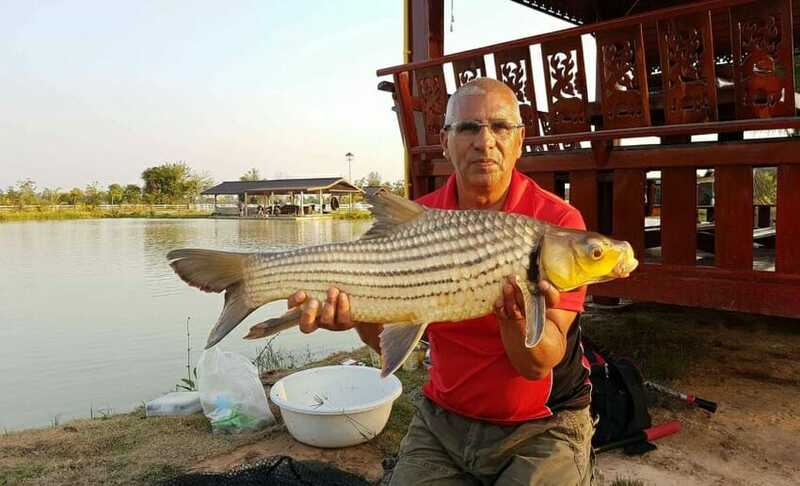 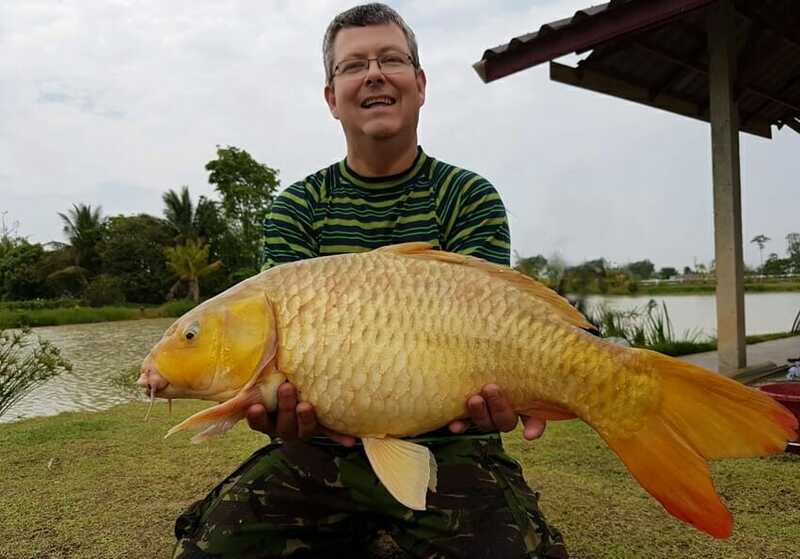 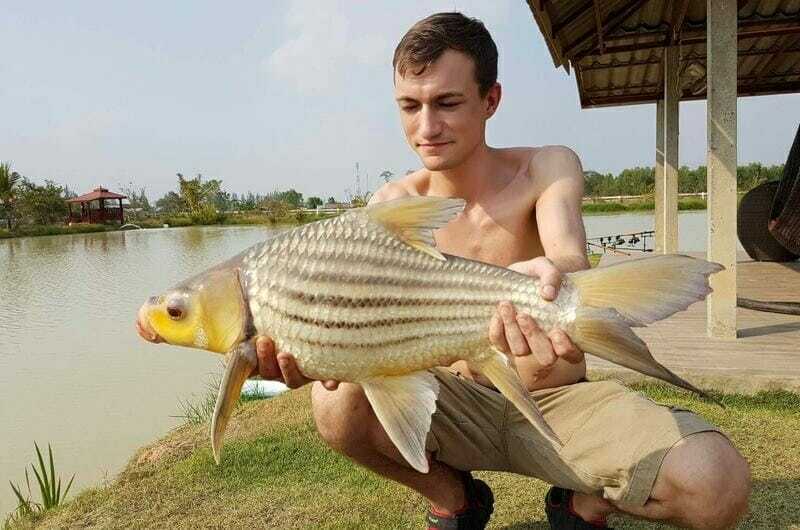 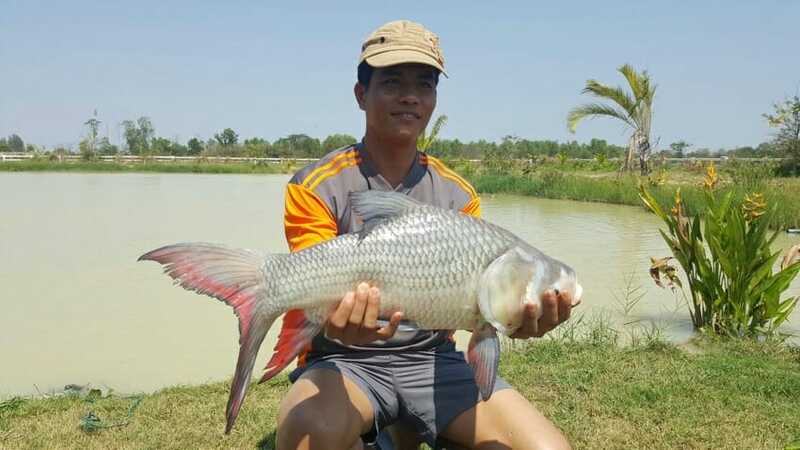 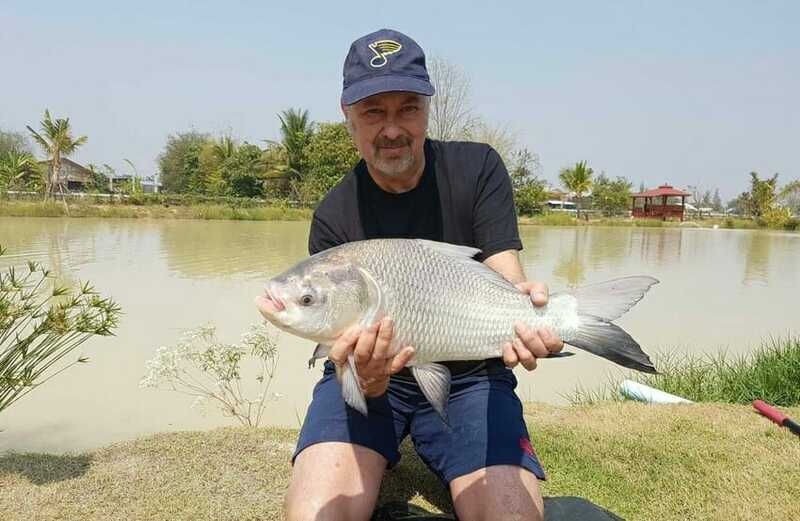 The lake produced a nice variety of 8 different fish species today for fellow Brit Michael and brother in law Khun Daad. 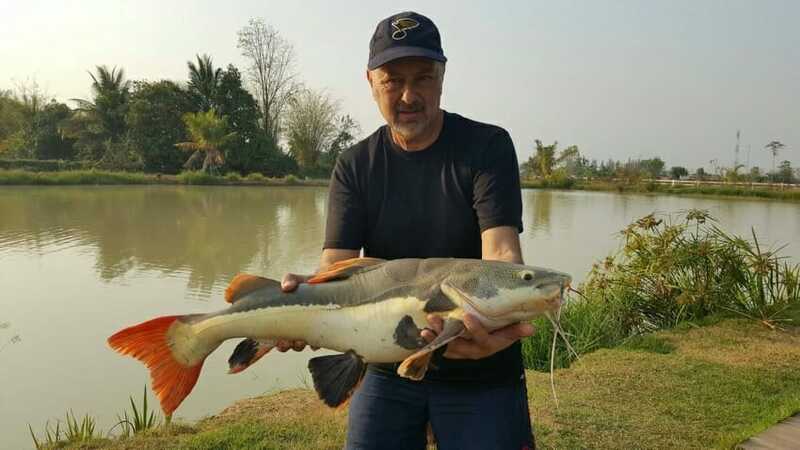 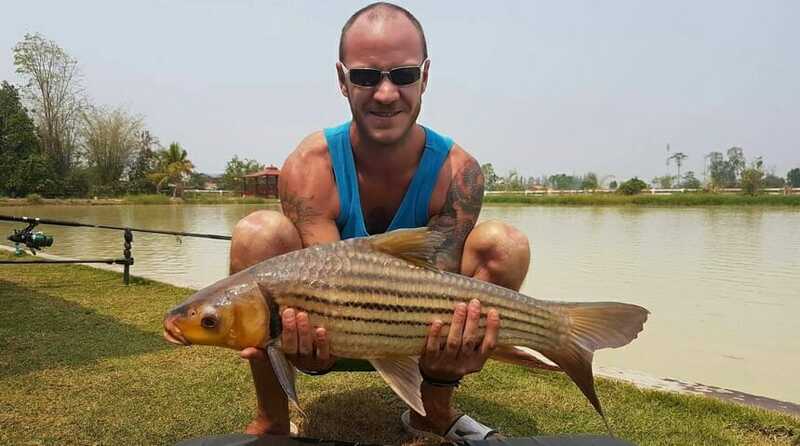 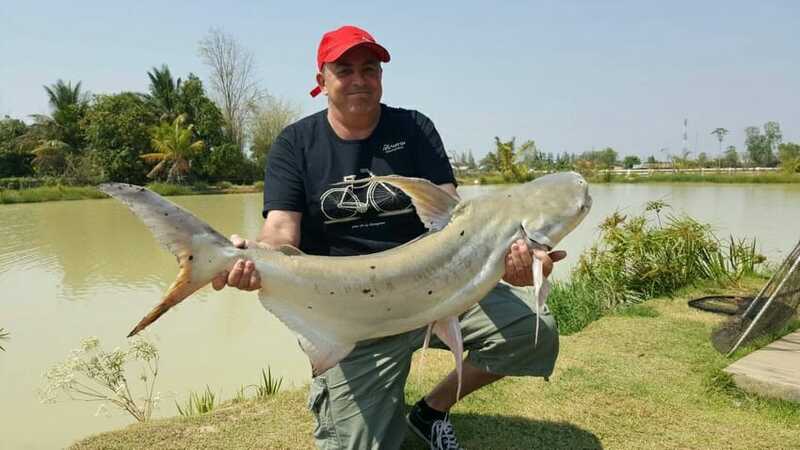 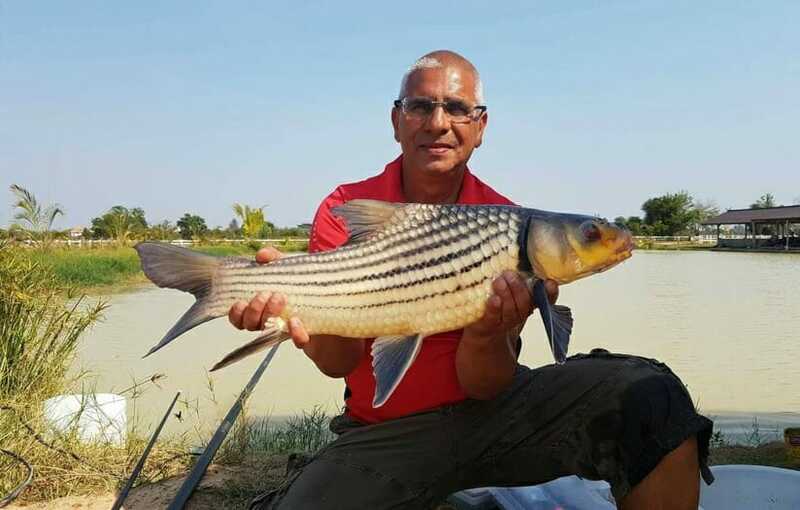 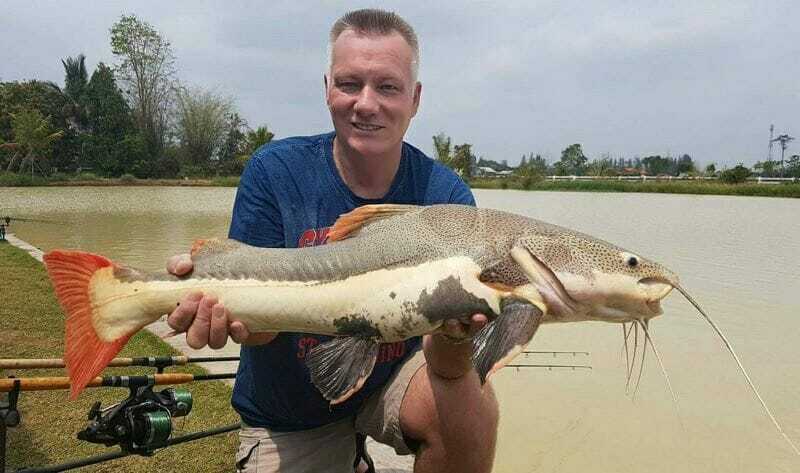 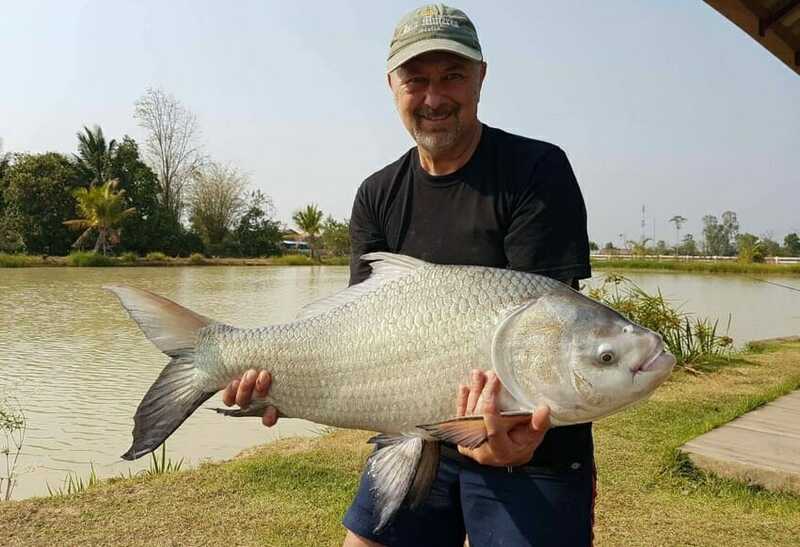 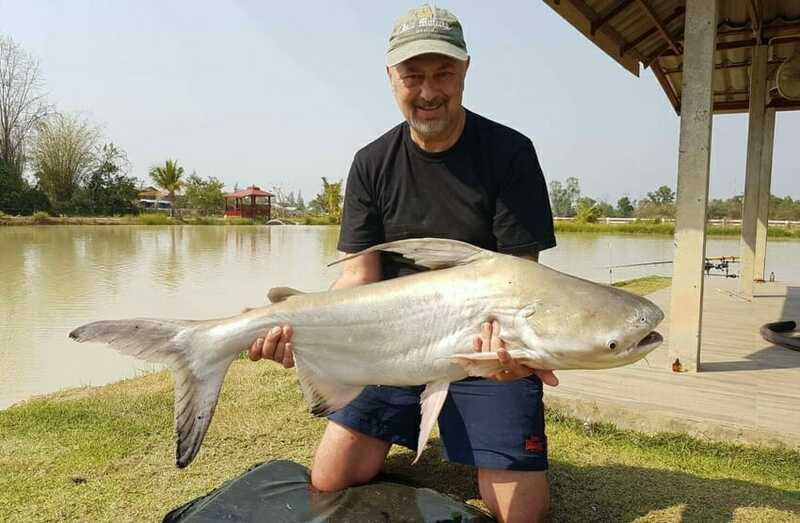 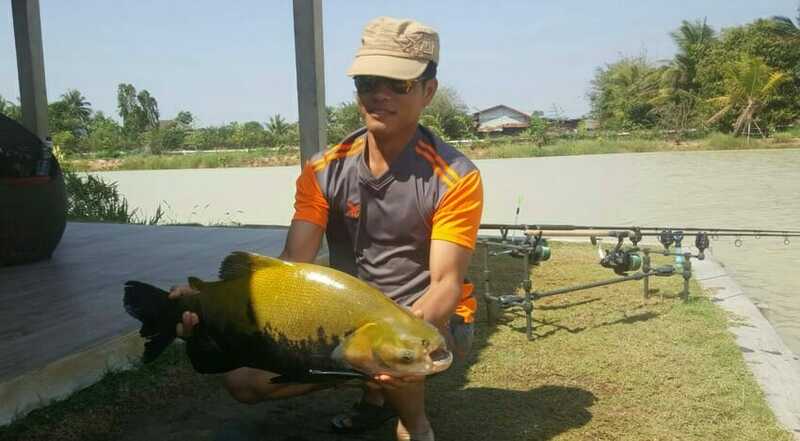 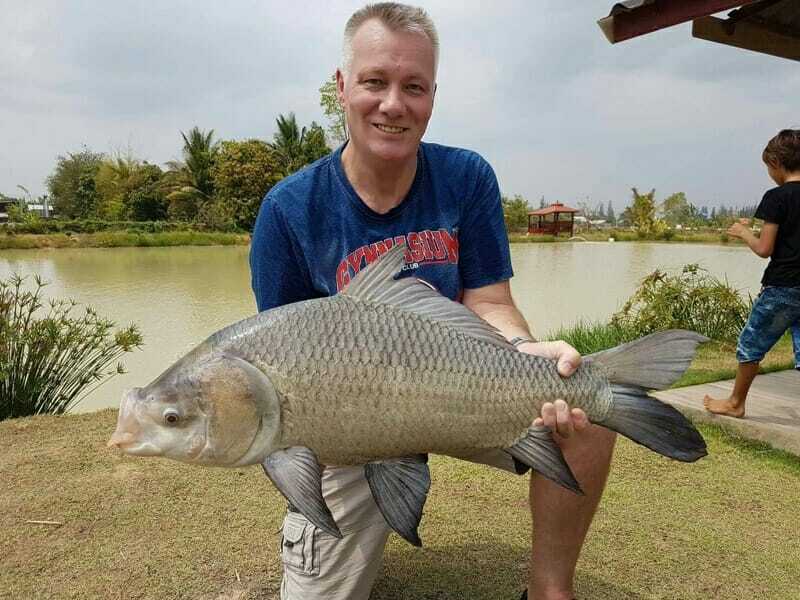 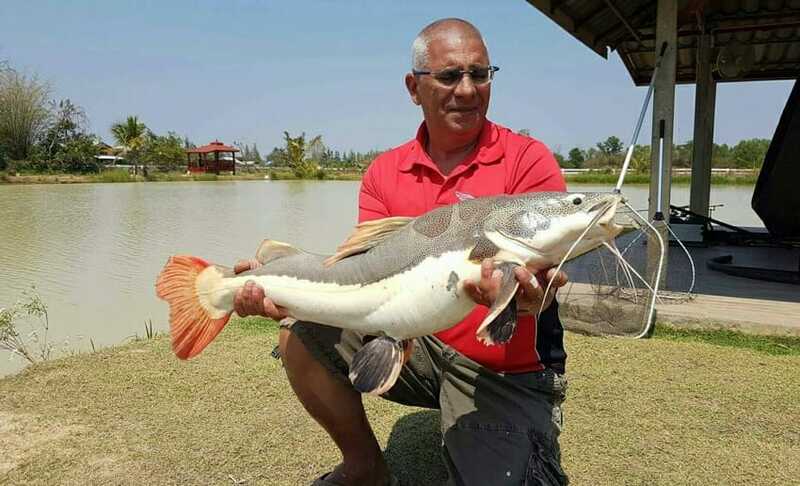 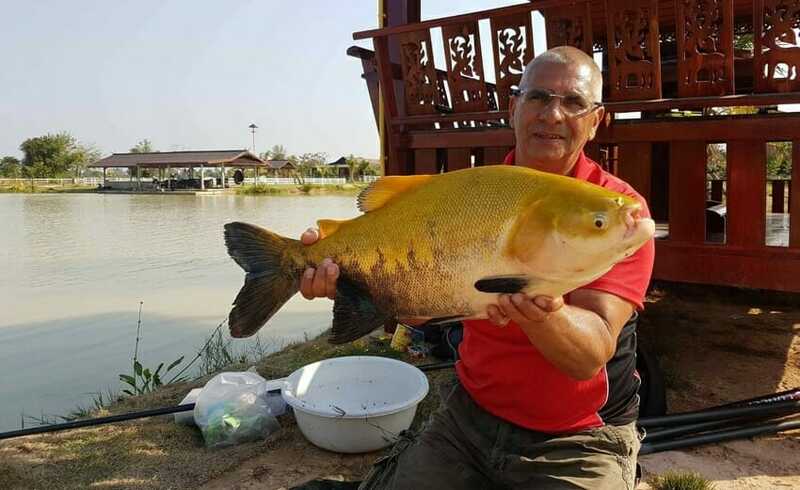 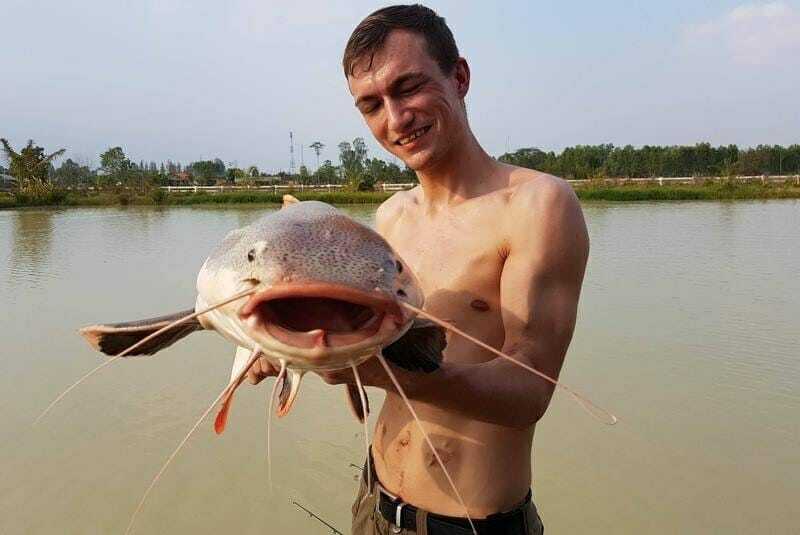 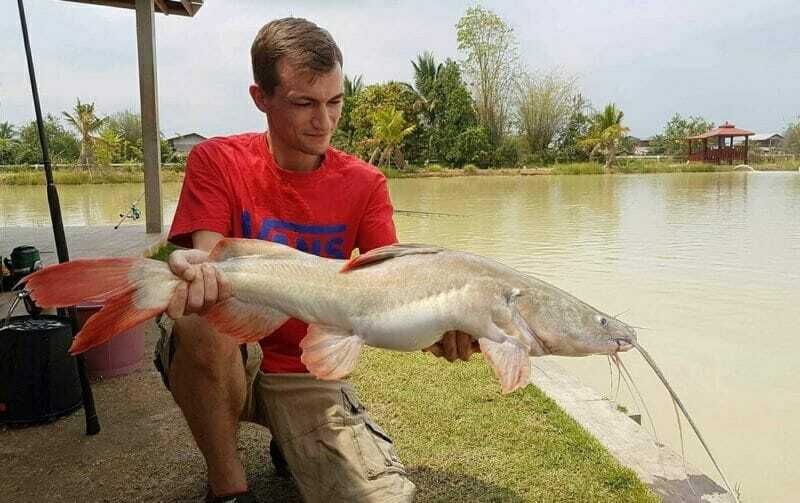 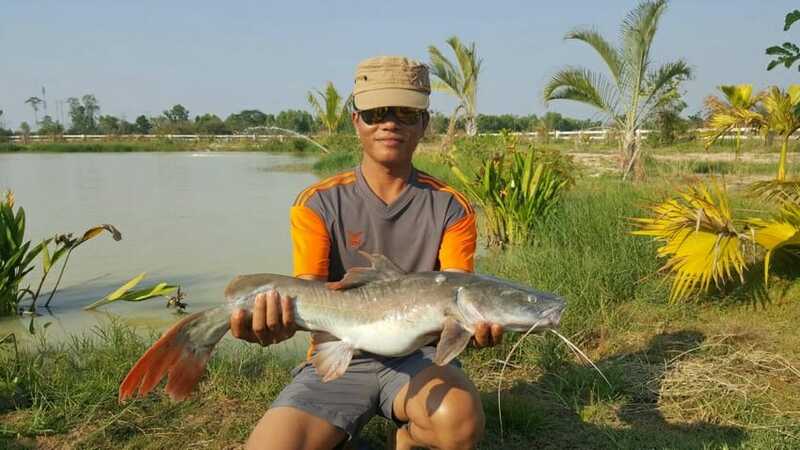 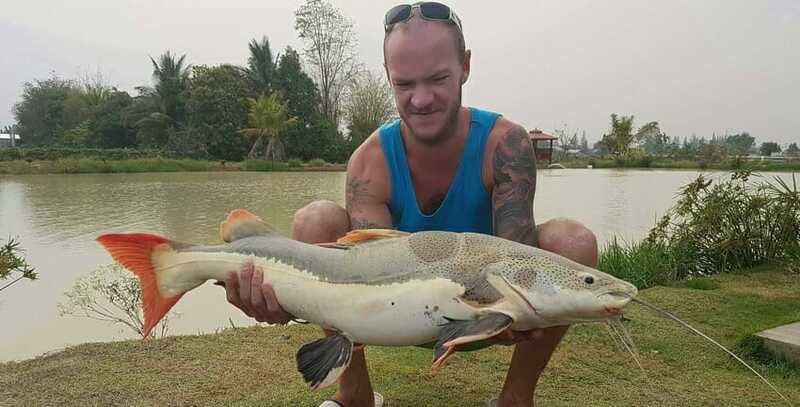 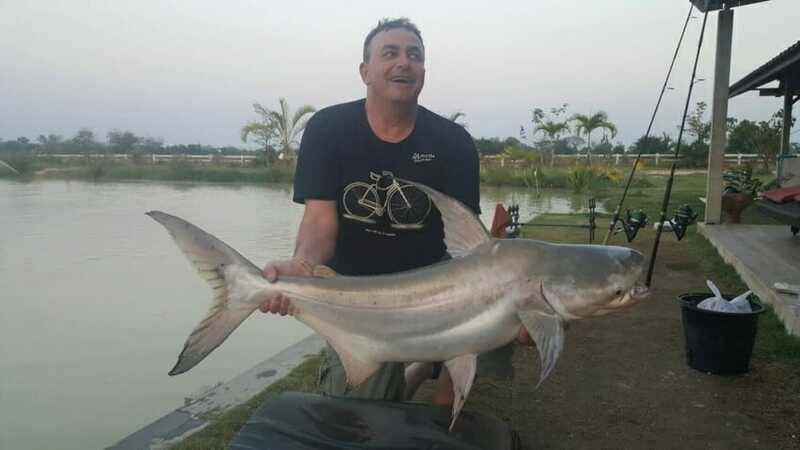 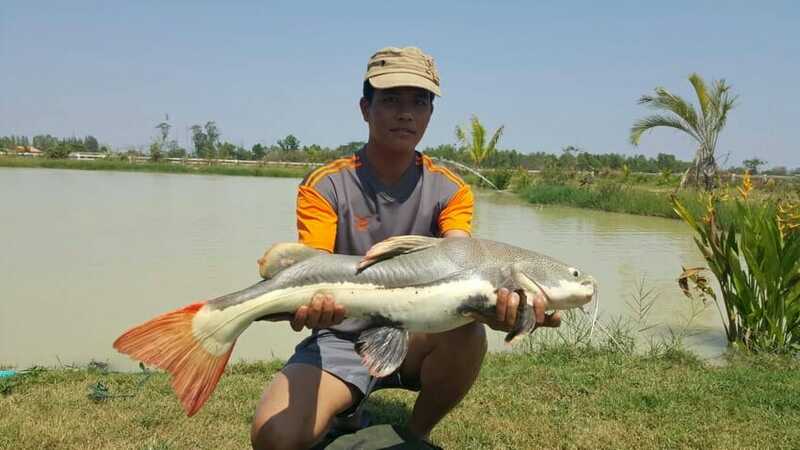 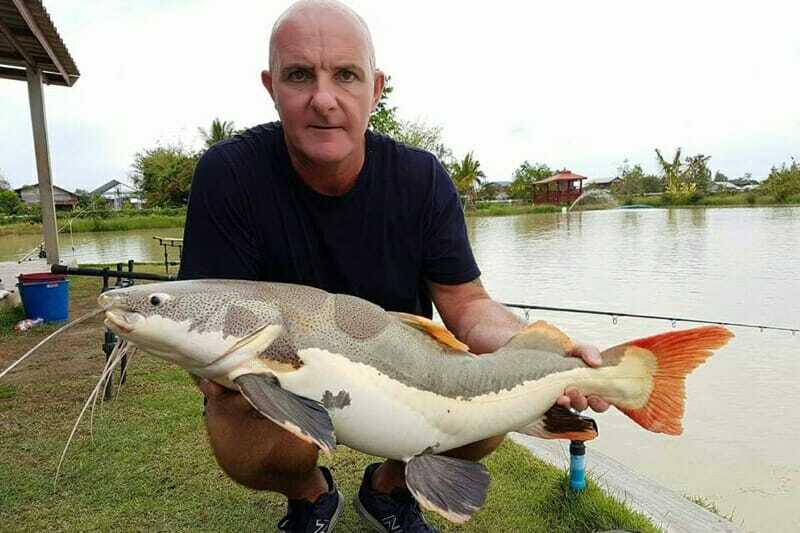 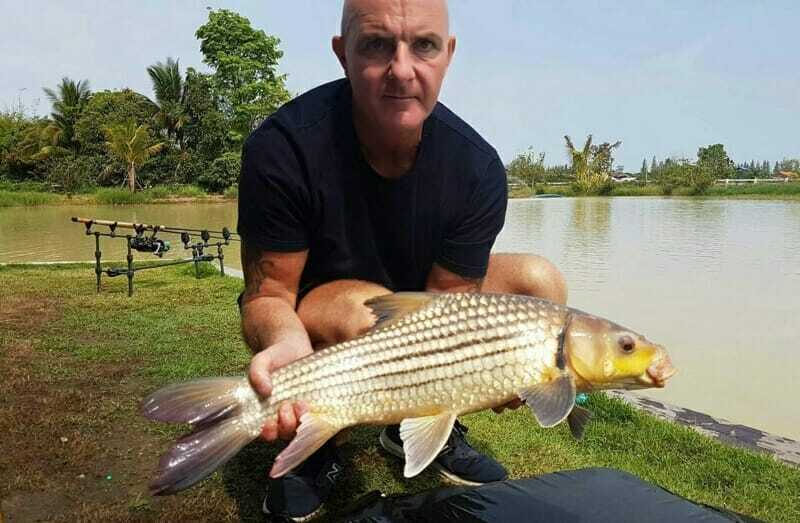 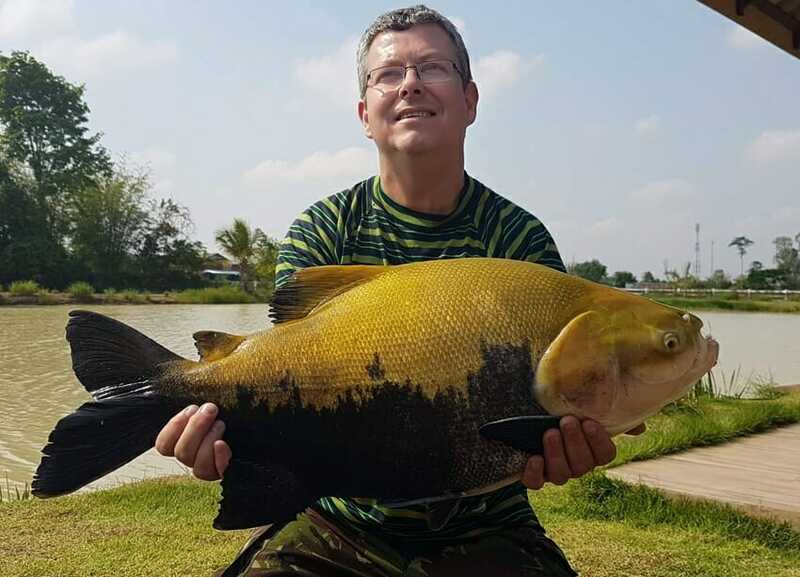 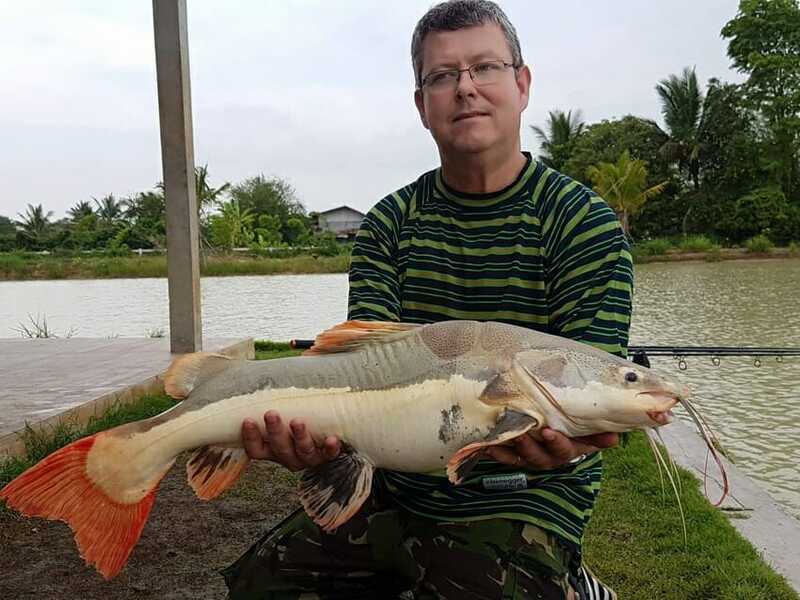 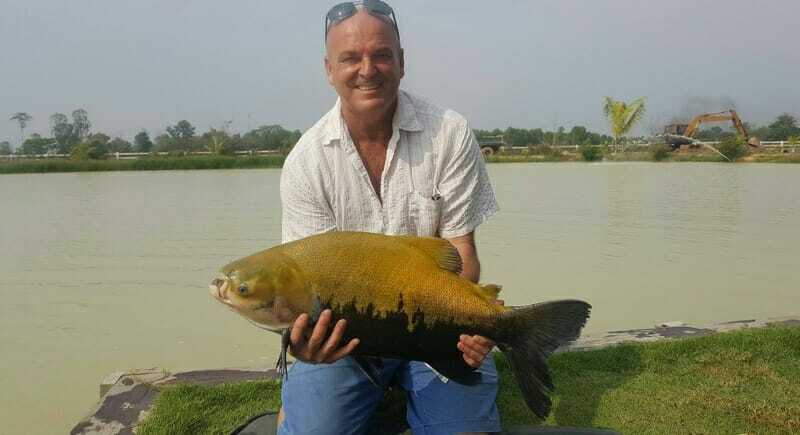 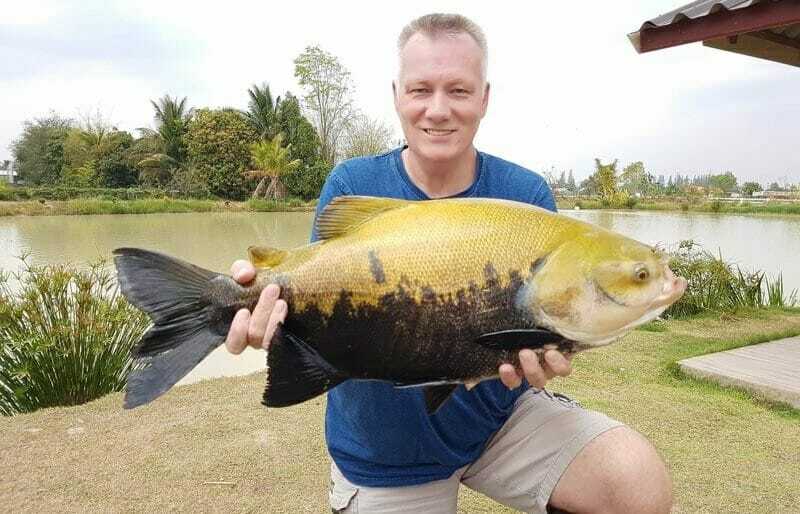 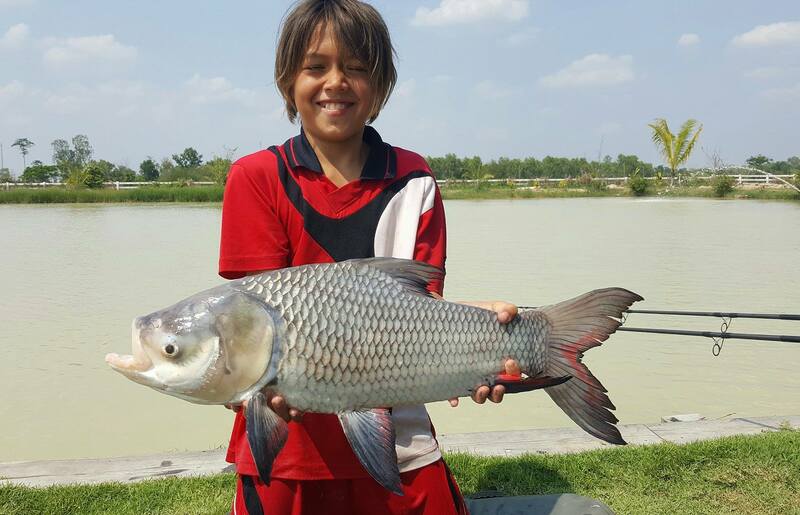 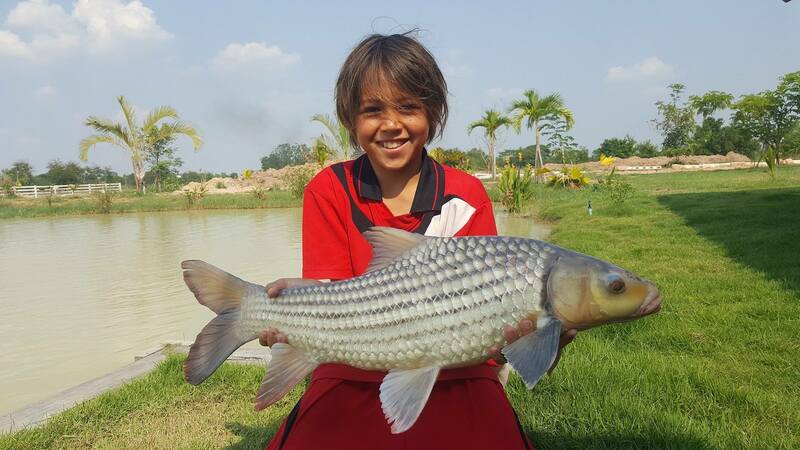 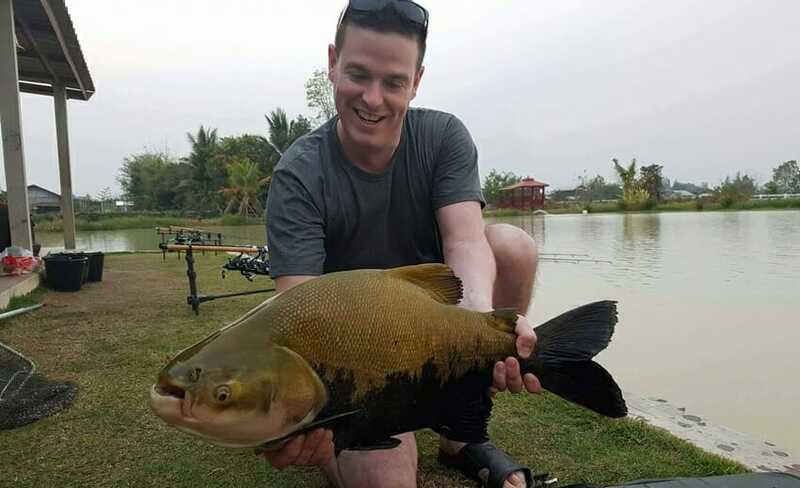 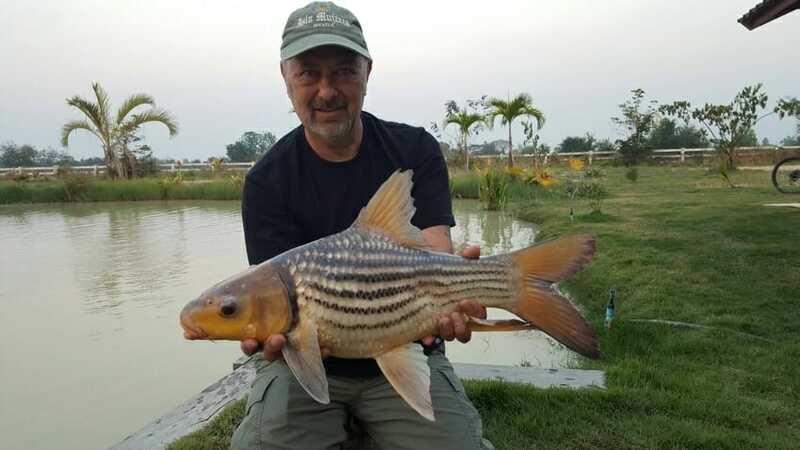 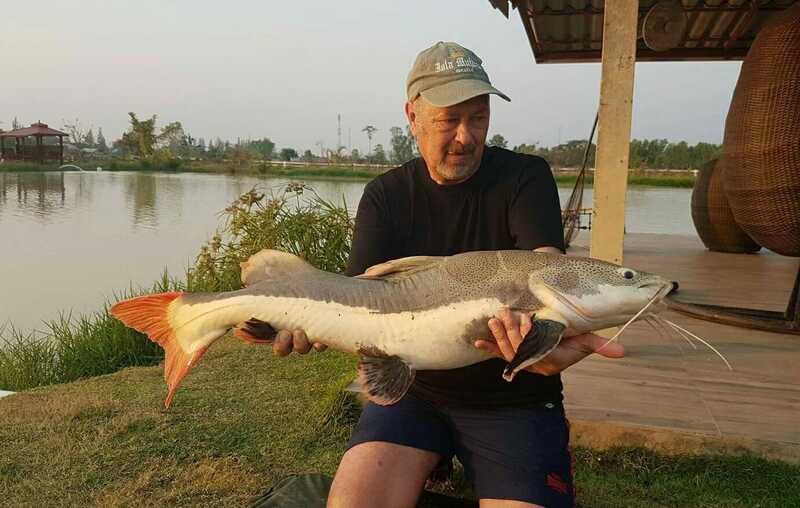 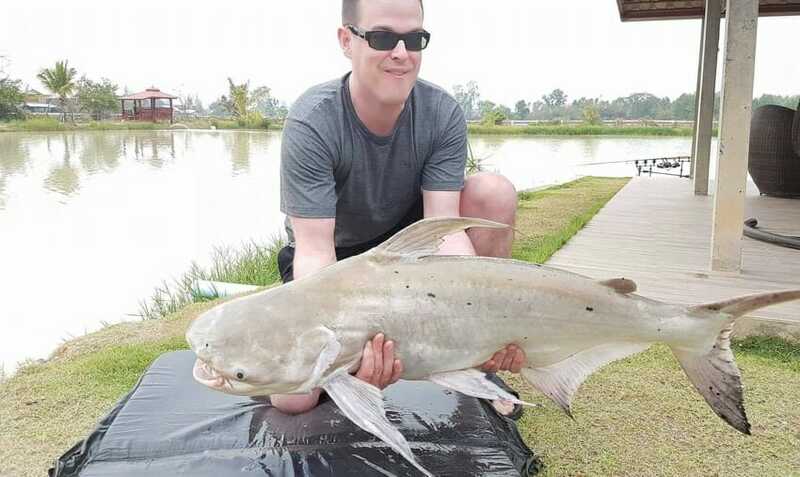 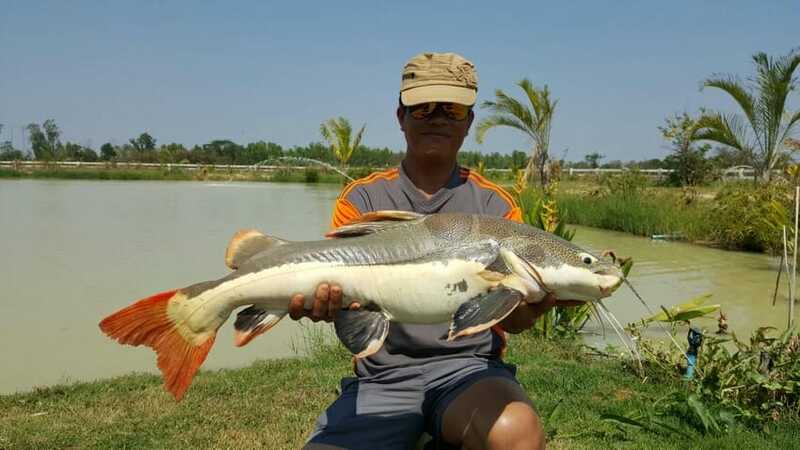 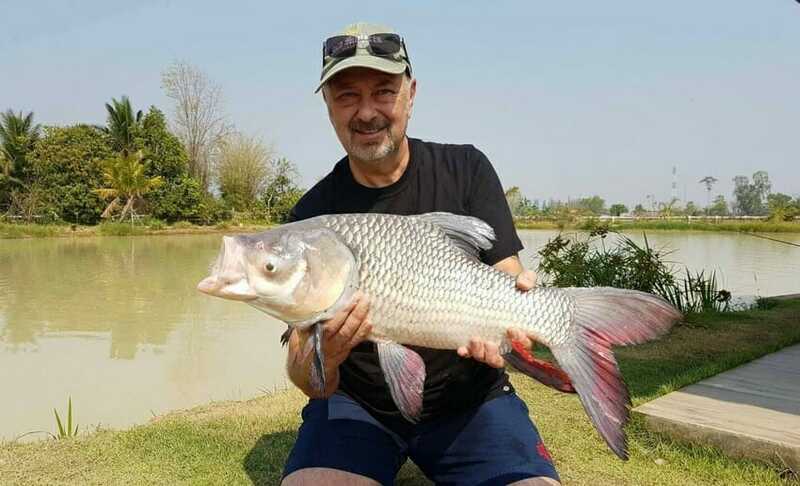 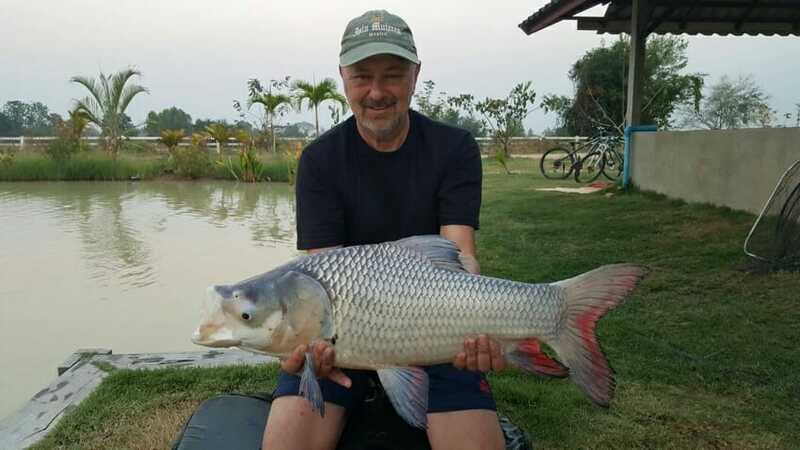 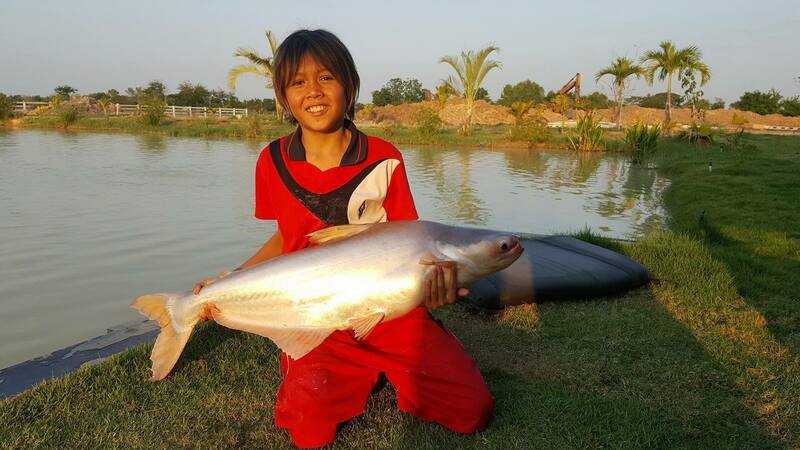 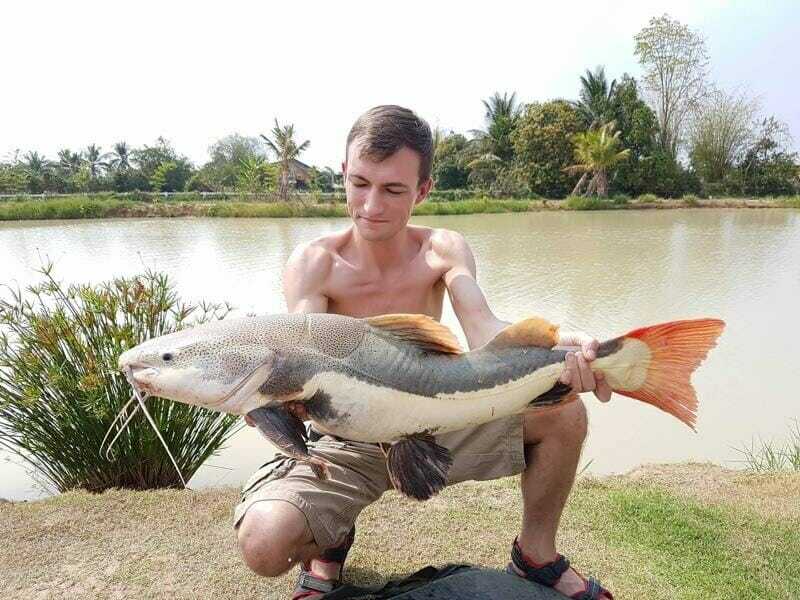 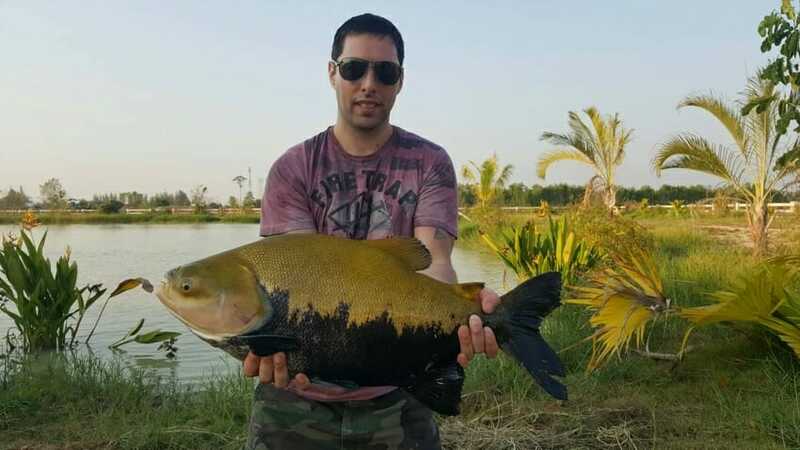 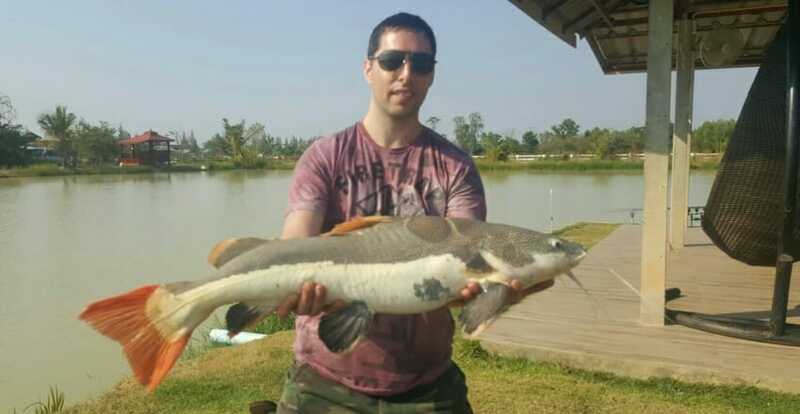 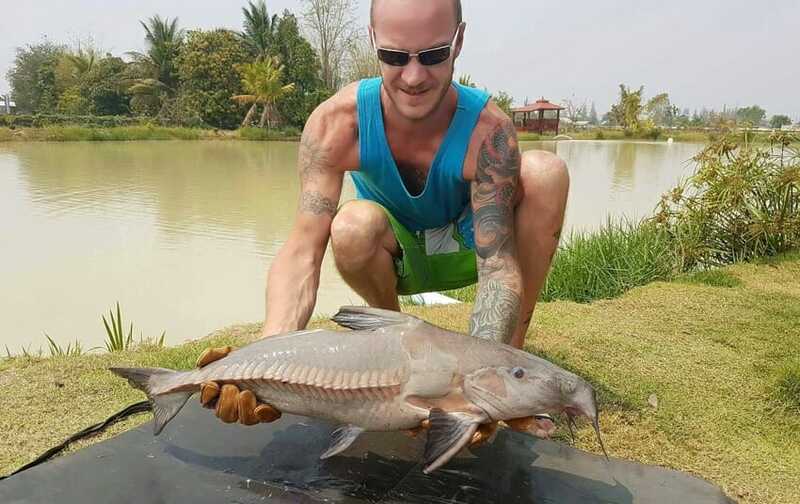 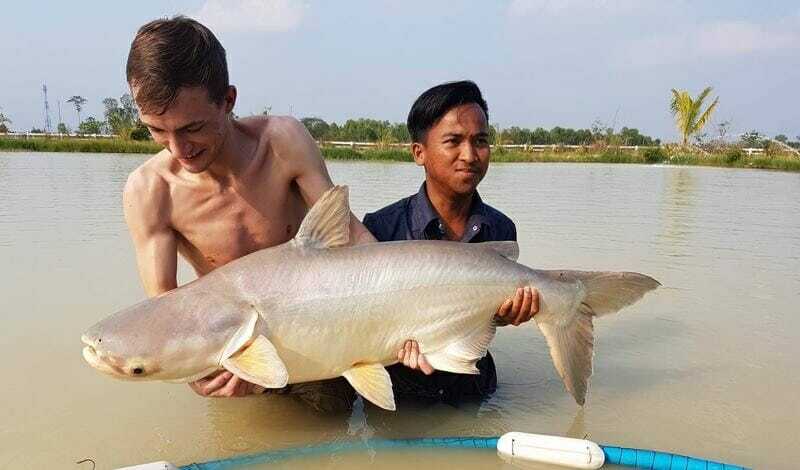 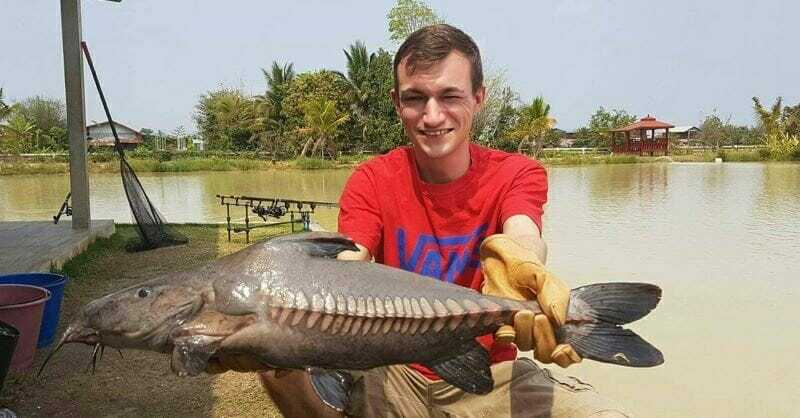 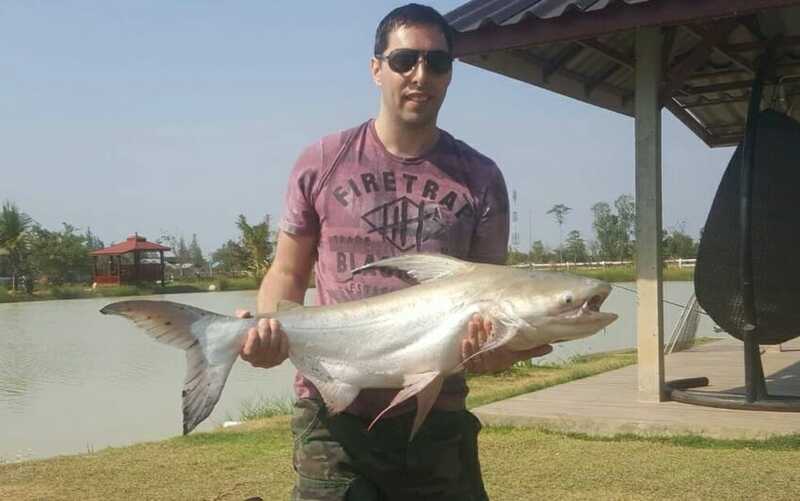 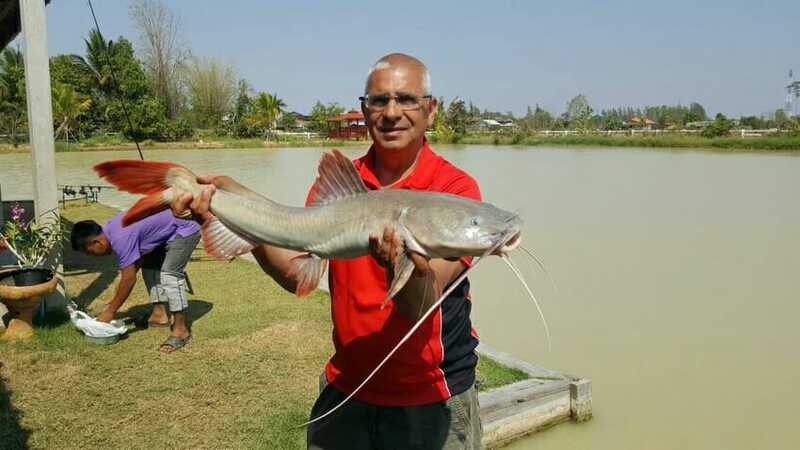 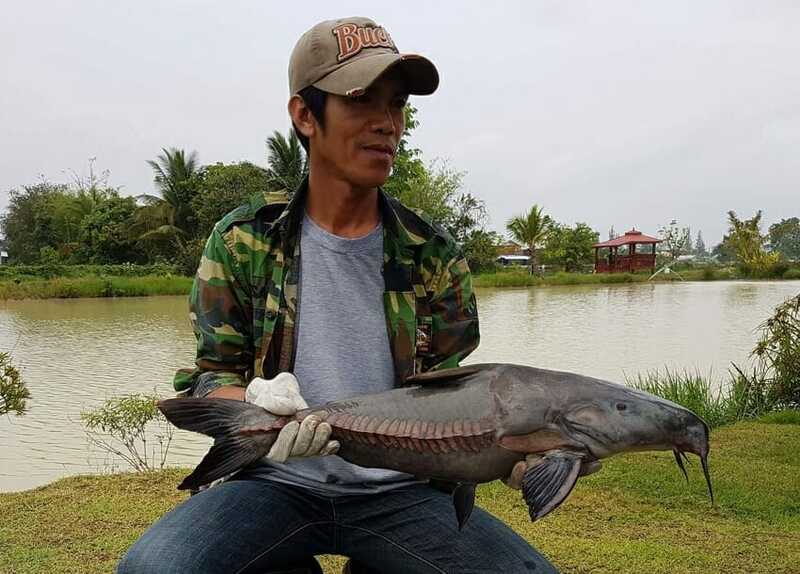 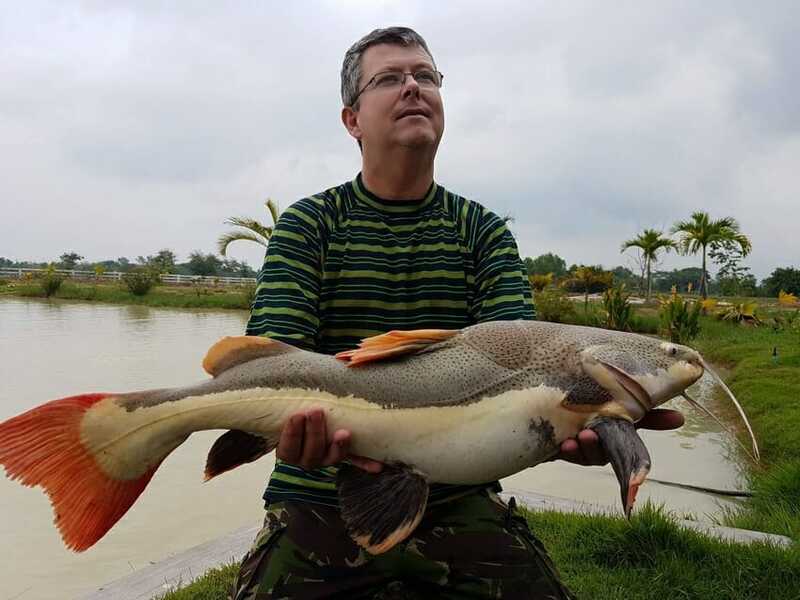 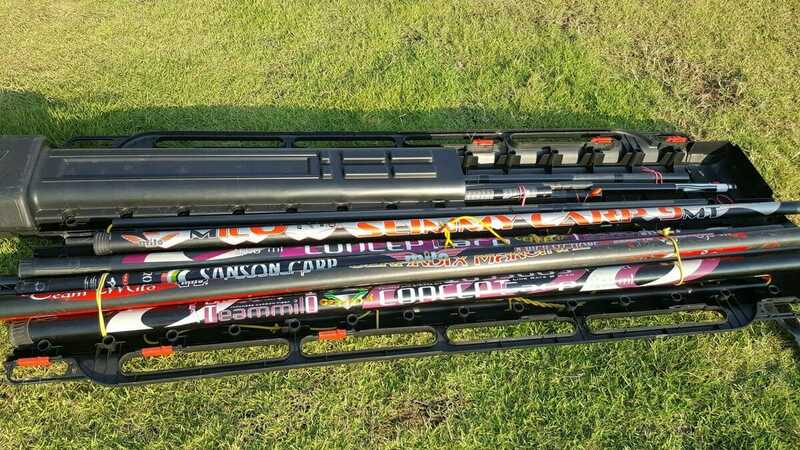 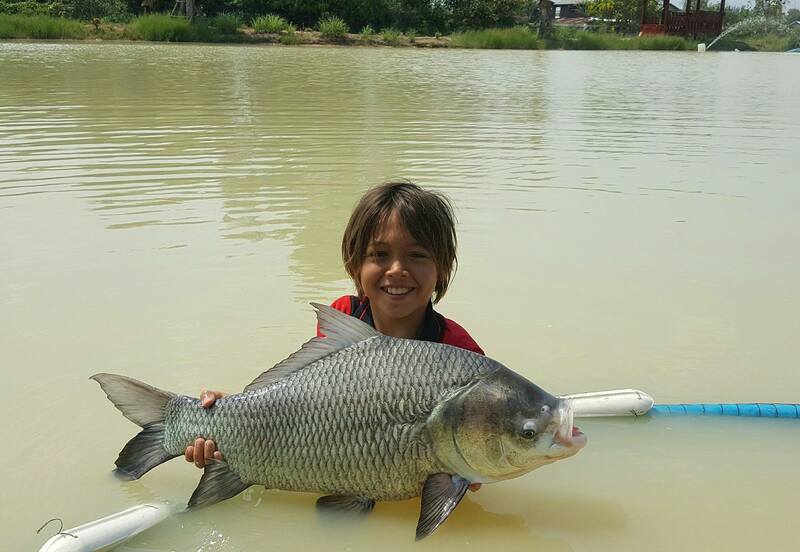 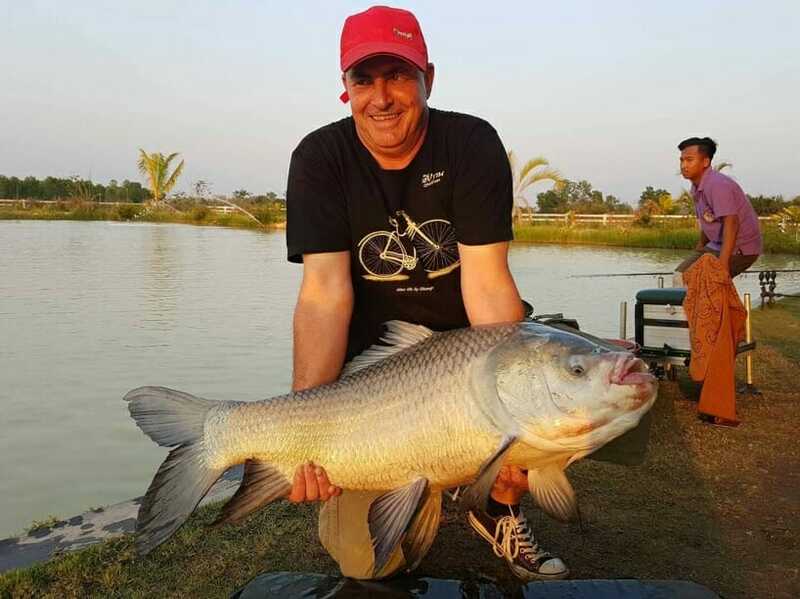 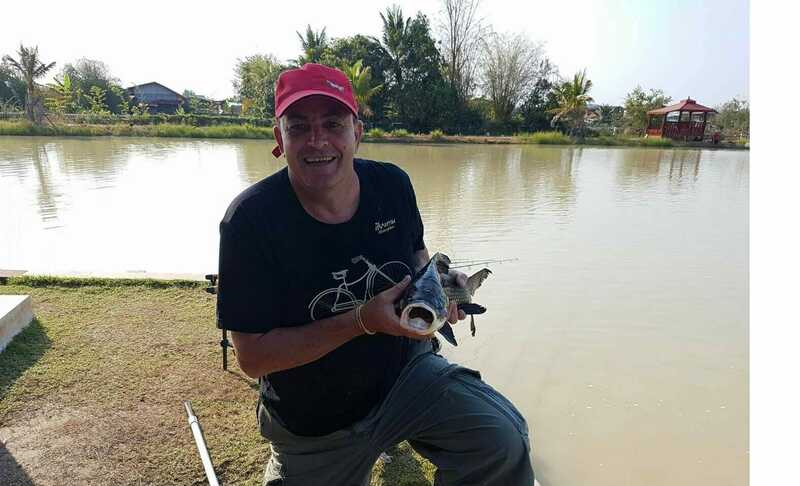 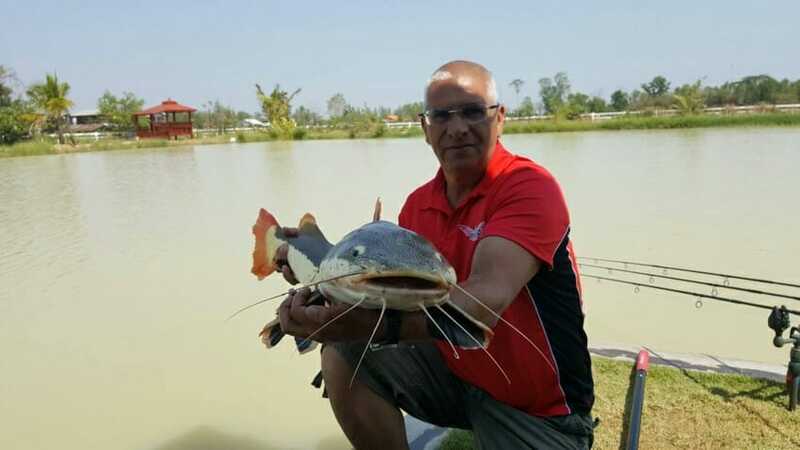 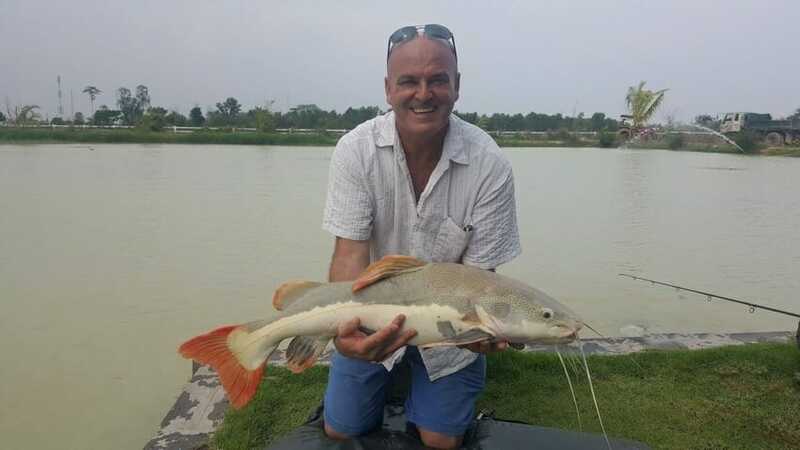 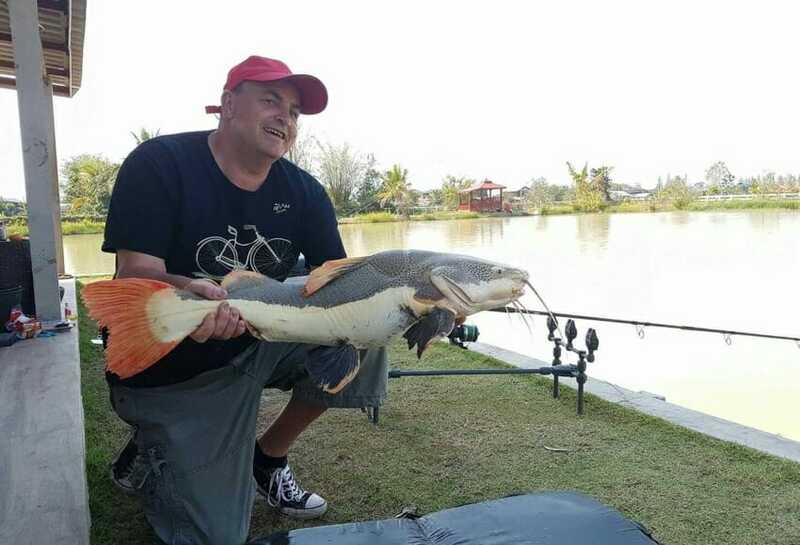 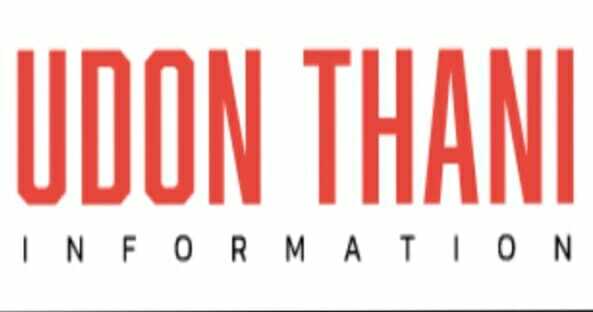 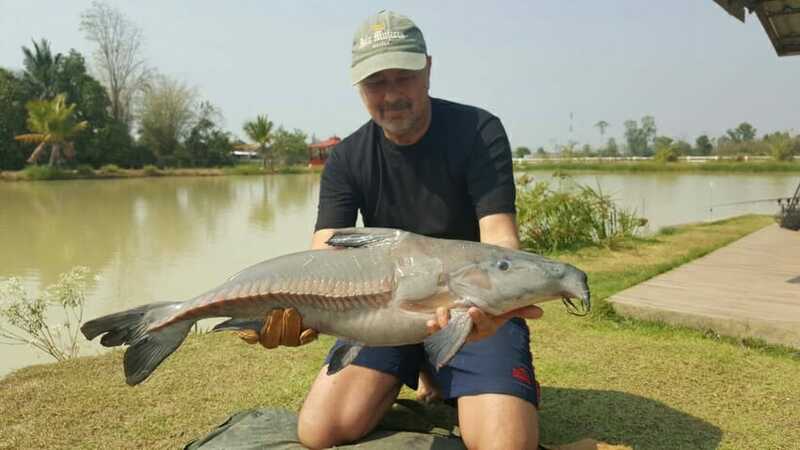 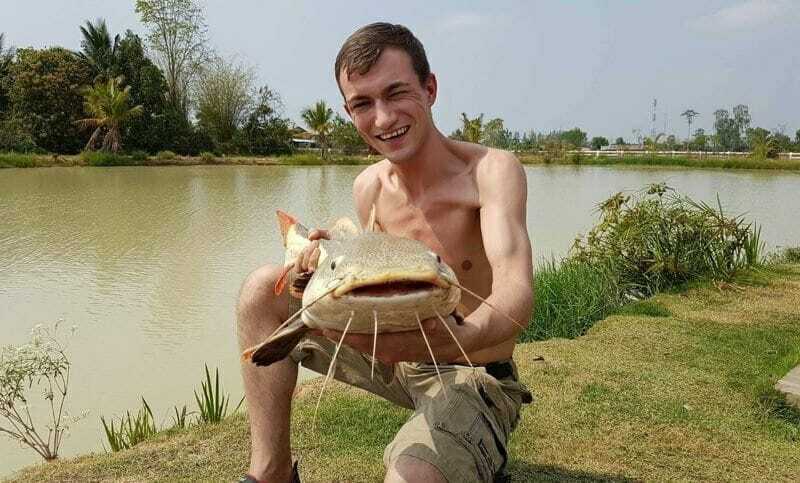 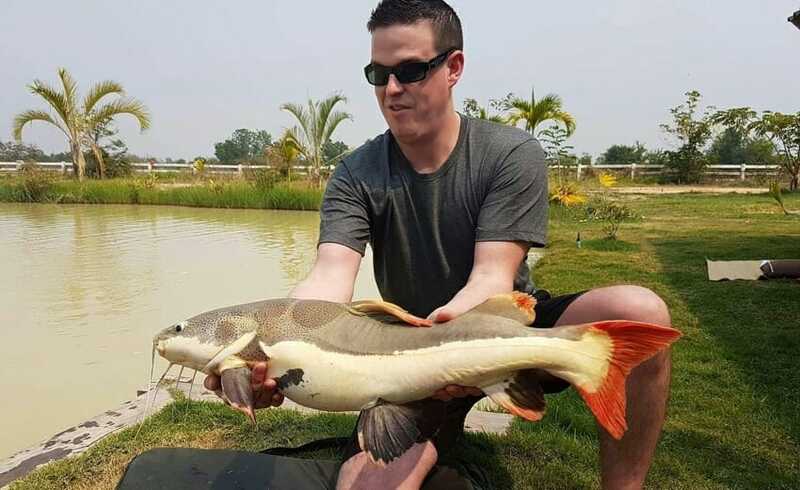 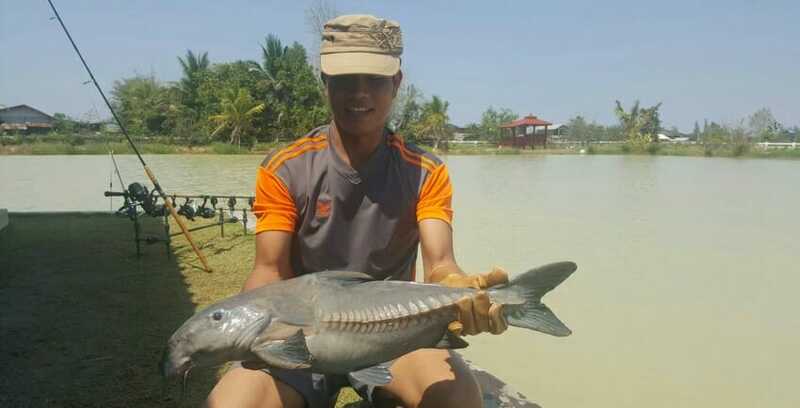 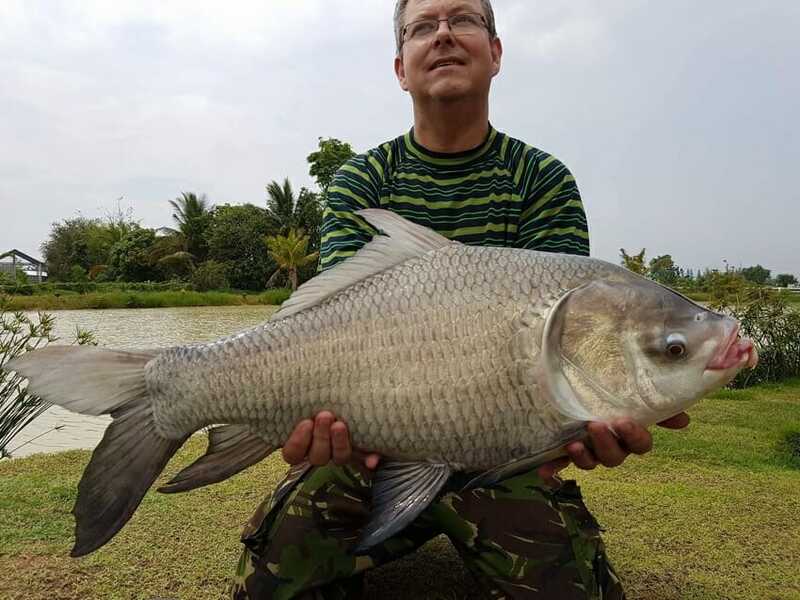 Species caught were Tambique, Chao Phraya Catfish, Asian Catfish, Ripsaw Catfish, Amazon Retail, Siamese Carp, Indian Carp and the good old Bla NIn making it an interesting and very exciting day… Thank you Michael and family we look forward to seeing you again.